On 31 July 1996, the Clipper Graham flew for the last time. During a flight that lasted 140 seconds, the experimental vehicle climbed to 1,250 meters (4,100 feet) and executed an arc-like sweeping maneuver from a near upright position, before descending base first. Only three of its four legs deployed. The Clipper turned off its engines, then toppled over. Upon impact, an explosion destroyed the vehicle’s composite shell and avionics rack, then the liquid oxygen in the aluminum-lithium tank exploded, and finally the liquid hydrogen tank exploded, scattering aeroshell and hydrogen tank composite material over the accident scene. It was all over in just 90 seconds. The explosion of the Graham Clipper on that White Sands, New Mexico, launch pad was the final stage in the evolution of a vision, the vision of a reusable rocket-powered single-stage-to-orbit spaceship with a flight-tested capability of rapid turnaround and other aircraft-like operations. Other proposals for single-stage-to-orbit rockets already existed, like those of Phil Bono and Gary Hudson. Nor was the notion of applying aircraft-like operations to rockets a new idea. Boeing’s Reusable Aerodynamic Space Vehicle (RASV) developed in the 1970s would have taken off and landed horizontally, like an aircraft, and would have featured the rapid turnaround, ease of maintenance, economy of operation, and abort capability found in the commercial airplane industry. RASV would launch several dozens (if not hundreds) of times, would be able to fly again shortly after landing (in two weeks or even in 24 hours or less), and would use small flight and operational teams. What made the Clipper Graham unique was that it combined the development of rocket-powered single-stageto-orbit transport with aircraft-like operations and a program approach that featured a modest budget, an accelerated timetable, a small managerial team, and minimal paperwork. No other single-stage-to-orbit project had been run before in this “faster, cheaper, smaller” fashion. Also, the Graham Clipper was the first rocket-powered vehicle, experimental or not, to demonstrate aircraft- like operations. It showed the world that you didn’t need kid gloves to handle a reusable rocket, nor did you need a standing army to operate and maintain it, like NASA’s Space Shuttle. The Flight Operations Control Center at the White Sands Missile Range consisted of a compact, low-cost, 40-foot (12-meter) mobile trailer that contained all necessary ground support equipment. Former astronaut Pete Conrad and two others operated the ground support equipment and launched the Clipper, while only 35 people formed the launch preparation and turnaround crew. The Clipper Graham was not about developing technology, like other rocket programs, but about operations. McDonnell Douglas, the builder of the Clipper Graham, made it largely out of existing hardware, some of which, such as welding rods and hinges, they purchased at local hardware stores. Deutsche Aerospace built the landing gear. Burt Rutan’s Scaled Composites was the contractor for the exterior graphite composite aeroshell. The DC-X navigated with a GPS receiver and had a Honeywell avionics system built for F-18 and F-15 fighter planes, as well as a Honeywell computer. McDonnell Douglas workers salvaged and modified pressure regulators and cryogenic valves from Thor missiles that once had been positioned in Europe against the Soviet Union. The builder of the aluminum cryogenic fuel tanks was not an aerospace firm, but Chicago Bridge and Iron located outside Birmingham, Alabama. The firm built large tanks for petrochemical works, and had experience fabricating large cylindrical aluminum containers for Navy submarines. No new engine was designed for the Clipper. Instead, McDonnell Douglas chose a highly modified version of Pratt & Whitney’s RL-10 engine, which was based on the booster for the Centaur upper stage. McDonnell Douglas borrowed the engines from Pratt & Whitney, and the Strategic Defense Initiative Organization paid for modifications that allowed flight controllers to throttle the RL-10 engines while still in the atmosphere. On-board computer monitoring and sensors appraised the condition of critical subsystems and signaled when a component should be replaced. These electronics were critical in allowing the Clipper to achieve its goal of demonstrating ease of maintenance, operation, and rapid turnaround. When the Clipper Graham flew on 27 June 1994, it proved an unprecedented turnaround time of one week between flights. The vehicle surpassed expectations of a three-day turnaround on 8 June 1996, when the small, 15-person ground support crew turned the Clipper around and flew it again in only 26 hours. No reusable space vehicle has equaled that record feat since. If these remarkable achievements made the Clipper special, its origins made it unique among rocket projects. The program started not within the congeries of agencies that make up what President Eisenhower called the military-industrial complex, but with private individuals who hoped to get government to realize their ambitious vision of single-stage-to-orbit transport. The key individuals were Maxwell Hunter II, Retired Lt. Gen. Daniel O. Graham, and Dr. Jerry E. Pournelle. Hunter, an aerospace engineer and MIT graduate, had been thinking about reducing the cost of rockets for several decades. He had the vision of a singlestage-to-orbit craft, which he called the SSX for SpaceShip Experimental. The SSX would operate like an aircraft, not a rocket. It would have autonomous operations, minimal operational and maintenance crews, short turnaround time, and would not be blown up (“aborted”), as is the case with an errant missile, but guided back to a landing area, in order to insure the pursuit of an incremental flight testing program. Like the Clipper Graham, the SSX would be an “X” or experimental aircraft like the “X” series of aircraft test flown by the Air Force and NASA. Hunter also wanted the design and construction of his SSX to be undertaken by a small team with a single line of authority and adequate funding, that is, in a “faster, cheaper, smaller” program. Hunter also was a member of the so-called Gang of Four that tried to persuade Congress to support a space-based defense sys tem. Hunter favored a system utilizing battle stations equipped with high-energy lasers, in opposition to the system championed by Danny Graham. Graham was a former head of the Defense Intelligence Agency and an advisor to Ronald Reagan on national security matters during his gubernatorial and presidential campaigns. Graham had many friends within the Reagan White House. Although he initially figured among the small cabal of men meeting in the offices of Edwin Meese to formulate new strategic defense policy in the fall of 1981, Graham soon was on the outside looking in. In 1981, Graham founded Project High Frontier with help from members of the President’s kitchen cabinet, in order to develop a concrete plan of antiballistic missile defense. The conservative Heritage Foundation published the group’s report, High Frontier: A New National Strategy, in March 1982. High Frontier described the global ballistic missile defense (GBMD) system, a constellation of space-based satellites loaded with small interceptor missiles as a forward- based defense. Graham disseminated and advanced his defense concept through his own organization, the High Frontier, and its newsletter, which sought to influence not just Congress, but the public in general, in order to muster enough political support so that a subsequent Democratic administration could not terminate the project. While Graham and Hunter had different ideas about what a space-based defense should look like, they agreed on the need for one, and they agreed on the insanity of MAD, mutual assured destruction. They also knew that any space-based defense would require an unprecedented number of launches, which meant that the cost of building the system would be equally unprecedented. Hunter’s vision of a rocket-powered single-stage-to-orbit reusable spaceship promised to orbit payloads routinely and at low cost. Graham joined Hunter in support of Hunter’s vision. 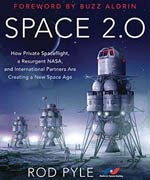 The two met, and Graham threw his support behind Hunter’s vision, at a meeting of the Advisory Council on National Space Policy, at the invitation of its head, Jerry Pournelle. Although he is best known as a writer of science fiction and a column in Byte computer magazine, Pournelle had solid aerospace and academic credentials. He had been associate director of operations research at North American Rockwell’s Space Division, and was once president of the Pepperdine Research Institute, which conducted studies on technology development and strategy for the Air Force. Earlier, as an employee of the Aerospace Corporation, Pournelle performed general editorial and systems analysis work for the Air Force’s Project 75, a classified study to project ballistic systems technology needs to the year 1975. As a speechwriter for California Governor Ronald Reagan, Pournelle became well connected to conservative political circles both in California and, after Reagan’s election to the presidency, in Washington. The Advisory Council on National Space Policy came into existence in response to Reagan’s election in 1980. Reagan’s transition team asked Retired General Bernard Schriever to write the space and space defense sections of the transition team papers. Schriever had overseen the creation of the United States’ missile programs during the 1950s and 1960s. Schriever turned to Dr. Francis X. Kane, a retired Air Force colonel who had worked with Pournelle on previous occasions, and Kane asked Pournelle for advice. Pournelle initially created the Citizens’ Advisory Council to help the Reagan transition team structure, but kept it around to provide ongoing recommendations to the Reagan Administration. In response to the transition team’s request, Pournelle assembled a meeting of the Citizens’ Advisory Council that took place over the weekend of 30 January – 1 February 1981, in the Tarzana, California, home of science fiction writer Larry Niven. Mrs. Marilyn Niven managed and catered the gathering. Science fiction authors figured prominently among the Council’s membership. Robert Heinlein, Poul Anderson, Dean Ing, and G. Harry Stine were among those invited at one time or another. Because the invitation to attend specifically requested assistance in preparing the Reagan transition team papers on space, Pournelle was able to induce a range of luminaries to attend. The list of those who attended the first and subsequent meetings of the Citizens’ Advisory Council included astronauts Buzz Aldrin, Gerald Carr, Philip K. Chapman, Pete Conrad, Gordon Cooper, and Walter Schirra. A number of retired military brass frequented the meetings too: Col. Jack Coakley, US Army Retired; Col. Francis X. Kane, US Air Force Retired; Brigadier General Stewart Meyer, former commander of the Redstone Arsenal; and Brigadier General Robert Richardson, US Air Force Retired. Other attendees ranged from NASA administrator Thomas O. Paine to Stewart Nozette, of the National Space Council, to Lawrence Livermore scientist Lowell Wood. The federal elections of 1988 brought George H. Bush and J. Danforth Quayle to the White House. Quayle would be particularly active in space matters as head of the newly reactivated National Space Council. Pournelle hoped to use the Citizens’ Advisory Council to influence space policy, as he had during the Reagan Administration, so he called a meeting for the weekend of 5 December 1988, to decide which type of launch vehicle the Council should endorse. Both Max Hunter and Danny Graham were present. The accounts of exactly what transpired during the meeting are as varied as those making the account. However, all agree that Hunter described his vision of a rocket-powered single-stage-to-orbit, the group strongly welcomed the project, and Graham pledged it all his support. Indeed, Graham soon used his political influence to set up a meeting with Vice President Dan Quayle. The White House meeting took place on 15 February 1989, with Graham, Hunter, Pournelle, and Quayle. They convinced the Vice President to initiate a single-stage-toorbit program that used an “X” vehicle and a “faster, cheaper, smaller” managerial approach to demonstrate aircraft-like operations. 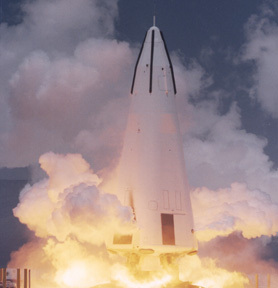 After the proposal passed a standard review process, the Strategic Defense Initiative Organization (SDIO) turned it into the Single Stage to Orbit (SSTO) program. The SDIO was the project’s preferred institutional home because the SDIO’s first director, Lt. Gen. James A. “Abe” Abrahamson, had inculcated the agency with a culture that favored “faster, cheaper, smaller” projects. The SSTO Program was to consist of three steps. Phase I was a ten-month design study carried out by Boeing, General Dynamics, McDonnell Douglas, and Rockwell International. In Phase II, a suborbital technology demonstrator would be built and flown in 24 months. Construction and orbital flight of a manned full-scale experimental prototype would ensue in Phase III. First flight of the prototype would take place in fiscal 1994. Phase II began in August 1991, when the SDIO awarded McDonnell Douglas a $58,904,586 contract to design, build, and flight test the one-third-scale, suborbital Delta Clipper Experimental (DC-X). Later, following the death of Danny Graham in 1995, they company would rename the vehicle the Clipper Graham in his honor. Phase III never took place. Indeed, the struggle to flight test the Clipper was prodigious, and the vehicle’s achievements may never have succeeded. The problem was not the vehicle, but the changing times. The SDIO had associated the project with the Strategic Defense Initiative (SDI) and Brilliant Pebbles just as the Cold War was coming to an end. Just weeks before Hunter, Graham, and Pournelle had met with Quayle, the first in a long chain of events that marked the end of the Cold War took place. On 8 December 1988, Soviet General Secretary Mikhail Gorbachev announced drastic cuts in the Soviet military presence in Eastern Europe and along the Chinese border in an address to the United Nations General Assembly. By the time the SDIO awarded the four Phase I study contracts on 15 August 1990, the end of the Cold War was much clearer. By the end of 1989, Poland and Hungary had held free elections, the Berlin Wall had fallen, and Czechoslovakia and Romania had cast out their Communist governments. At Minsk, on 8 December 1991, the end of the Soviet Union came. Russia, Belarus, and Ukraine dissolved the Soviet Union and set up the Commonwealth of Independent States (CIS). With the creation of the CIS, the Cold War was definitely over. President Bush, in his 1991 Christmas broadcast, announced that the struggle between the United States and the Soviet Union was “now over.” A new political era had begun. By December 1991, the SDIO had solicited proposals for Phase II and on 16 August 1991, had awarded the Phase II contract to McDonnell Douglas. Thus, Phase II, construction of flight testing of the DC-X, would take place during the tumultuous first months and years following the end of the Cold War. The end of the Cold War brought new surprises. The experience of the Gulf War that concluded in the winter of 1991, especially Iraq’s use of Scud missiles, demonstrated to many the wisdom of changing the SDI from civilian defense to war theater defense. In late 1989, President Bush ordered a review of the SDI as part of a broader reconsideration of US strategic requirements for the New World Order that he believed was emerging. In January 1991, following the review, and in the middle of Operation Desert Storm, Bush announced a conversion of SDI into a system known as GPALS (Global Protection Against Limited Strikes). The new space defense architecture meant a greatly reduced version of Brilliant Pebbles. How would the SDIO’s SSTO Program fit into the new architecture? A new danger to the small SSTO Program emerged as Congress took advantage of the Cold War’s end and slashed the Defense budget. After climbing to a high of $292 billion in fiscal 1988, the Pentagon budget varied between about $290 and 291 billion during fiscal 1989-1991, before dropping to $276 billion in fiscal 1992, as Congress sought to collect “peace dividends.” Declining defense budgets continued into the early years of the Clinton Administration. Launcher projects now had a smaller Defense pie chart from which to carve their budgetary wedge. Competition became keener; funding debates became more caustic and more hostile. The hostility was voiced not just on the floor of the House and Senate, but in the press as well, in the form of invectives, denunciations, and ad hominem attacks. The main budgetary contender was not the National Aero-Space Plane (NASP), a multi-billion-dollar super program that involved NASA and the gamut of Defense agencies. Over the course of 1992, support for NASP waned and soon collapsed. 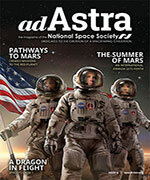 The real competition for launcher development funding came from the National Launch System (NLS). A costly Bush project funded jointly by NASA and the Air Force, the NLS was a family of three heavy launchers. Even though Congress consistently voted funding for the Clipper Program, bureaucrats found ways to circumvent Congress’s intent. The first of these was a Format I, a budgetary maneuver that shifted $27 million from the Clipper to the NLS. The total cost of Phase II of the Clipper program from start to finish was only $59 million, and $27 million was its total fiscal 1992 funding. In contrast, NLS funding for just fiscal 1992 had been set at $55 million. The Pentagon withdrew the Format I following a House and Senate conference on defense appropriations, but reactivated the Format I in February 1992, as the Clipper program underwent its Initial Design Review. A low-level Pentagon bureaucrat had decided on his own to reactivate the Format I, because he was concerned that the NLS was short of funds. The Format I was rescinded once again in March 1992. In January 1994, as the Clipper was stranded in New Mexico because of a lack of money, the program fell victim to another budgetary maneuver called a recision. The Defense Department had proposed recisions or cuts of several programs, including the Clipper. Luckily, NASA intervened with funding, and the Clipper flights resumed. The election of President Bill Clinton in 1992 also left its mark on the Clipper program and the SDIO. On 13 May 1993, Secretary of Defense Les Aspin announced that he was changing the name of the SDIO to the Ballistic Missile Defense Organization (BMDO). At the same time, the SSTO Program also underwent a name change to the Single Stage Rocket Technology (SSRT) Program. These superficial name changes reflected deeper substantial changes in military and space policy that threatened the very existence of the Clipper program. In the end, Congress canceled Phase III, the prototype craft, and the Pentagon transferred the Clipper to NASA, where it tested both operational and technological goals. In light of these turbulent sea changes weathered by the Clipper, its achievements as a demonstrator of reusable single-stage-to-orbit operations are that much more worthy of acclaim. And, by the way, NLS was never built. Andrew J. Butrica holds a doctorate in the history of technology and science from Iowa State University and is the author of several books. His appointment as the official historian for the NASA X-33 program led to the publication of his book Single Stage to Orbit: Politics, Space Technology, and the Quest for Reusable Rocketry in the New Series in NASA History published by Johns Hopkins University Press in 2003. Most of the book is devoted to the history of the DC-X.